One of Blizzard's top designers gives a young aspiring gamemaker some helpful advice. Being a game designer is a dream job that many would like to have, but in reality can be a tricky career to get into - especially if you're looking to join up with one of the big names like Blizzard. It can also be just as tricky to get in touch with a game industry veteran for their advice. Recently a World of Warcraft player by the name of Aaiya, posted in Blizzard's forums on behalf of their 8-year-old son to see if just maybe he could speak with one of Blizzard's employees to learn more about game design and the best way to land that dream job making games. 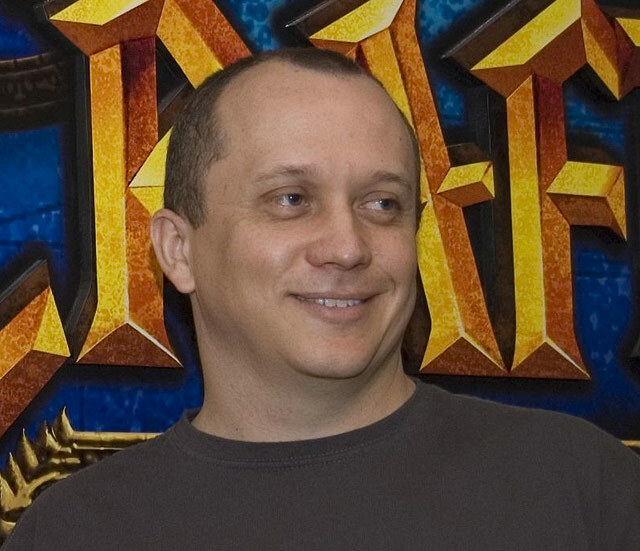 Surprisingly, Greg "Ghostcrawler" Street, the Lead Systems Designer for World of Warcraft, responded to Aaiya's inquiry with a very lengthy and detailed post that was chock full of advice on the best ways one could try and achieve their dreams of making the next big title. First, Street stressed the importance of having good communication skills, because whether you pursue a game design degree specifically or something else, it's always important to be able to explain your ideas fully and collaborate with a team. Street also noted that having any experience in creating games is also needed, either by being a professional game designer or at least by working with a game company in some capacity, such as quality assurance or customer service. "Playing a lot of games does count as experience," Street added, "But it's the kind of thing that's hard for us to test. You're better off playing a lot of games and doing something else as well." Street went on to talk about how, if one isn't quite able to get a job the game industry through traditional methods, there are still plenty of options available for those looking to start up a career as a designer. Becoming a professional game player might actually help you land an interview, but wouldn't necessarily prove your ability to design a game, and may be harder to accomplish than getting into game development in the first place. An easier route that Street recommended would be to design your own game (bonus points if it's a fully fleshed out and playable), or at the very least an add-on or mod for an existing game to show you're capable of taking an idea and following through on it. "This is how I got my foot in the door," Street admitted. "I designed a scenario for Age of Empires that was eventually included in a shipping product." Along with advice on staying active in the industry by keeping up with the latest industry news and networking with professionals at conventions, Street closed out his letter with some of the qualities that Blizzard itself specifically looks for in its game designers - such having excellent communication skills, a good sense of design and most importantly, a passion for creating games. Given that Aaiya's son is only 8 years old but already eager to learn more about working in the game industry, I think it's safe to say he's already got that down.